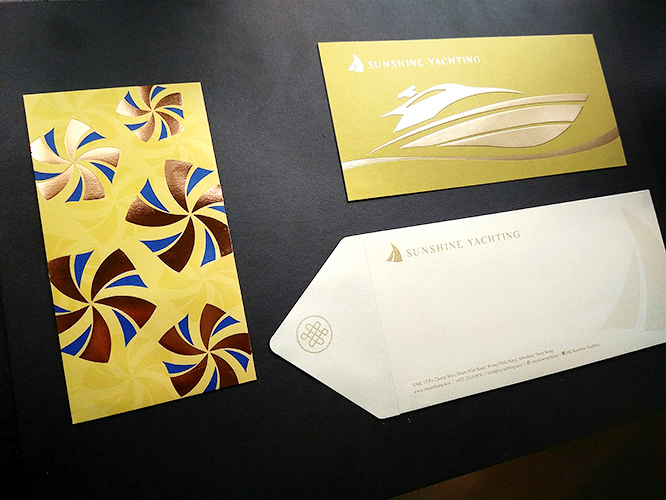 Kam Man Fung Factory Bldg. 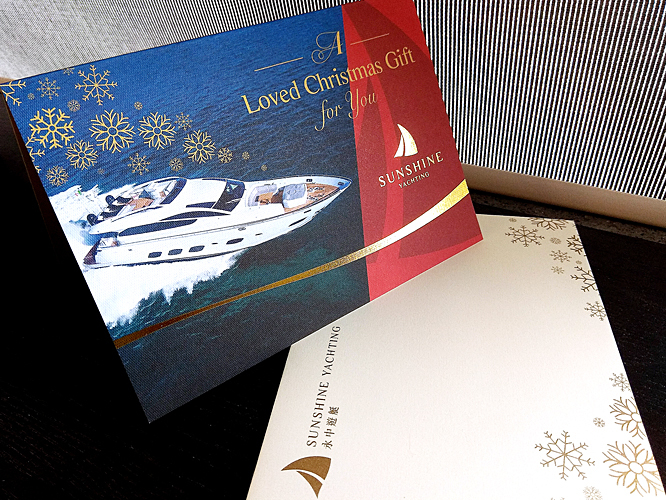 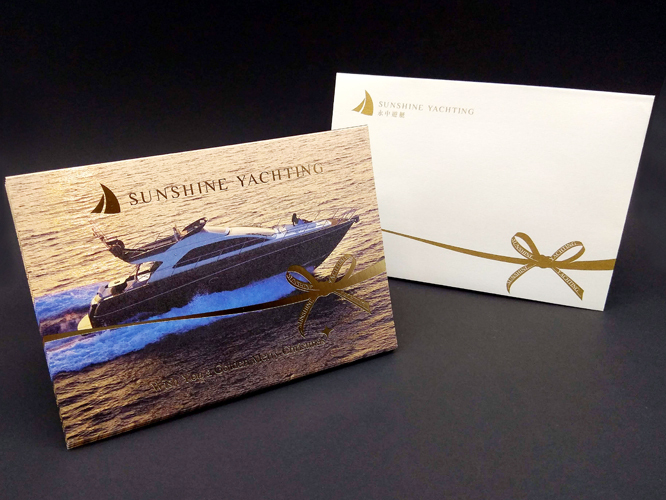 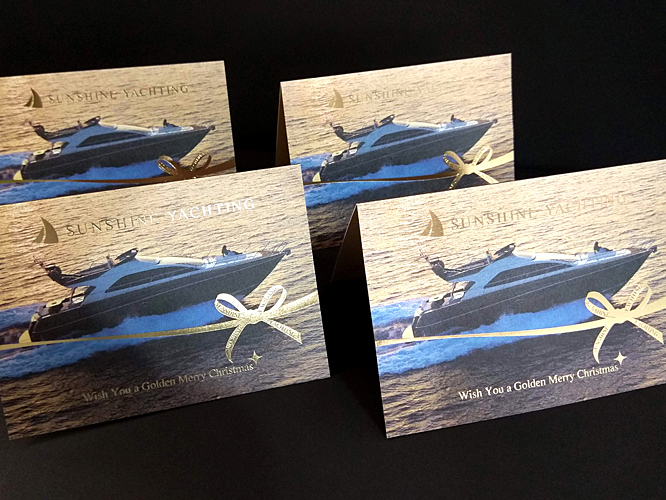 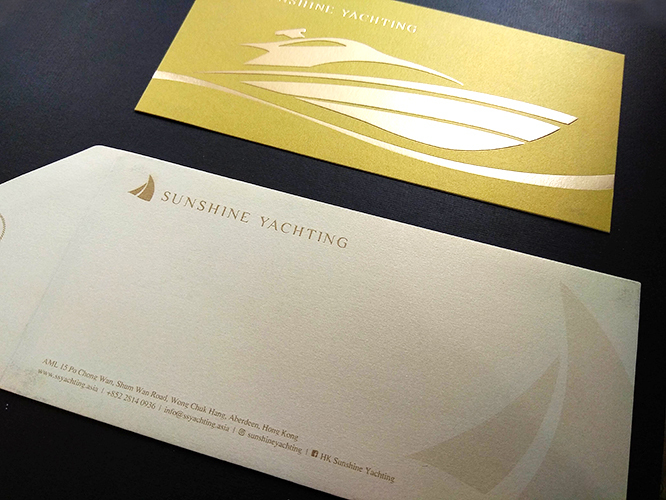 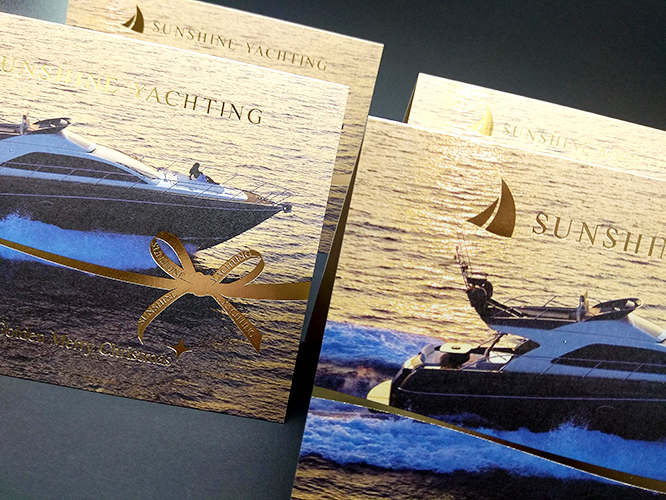 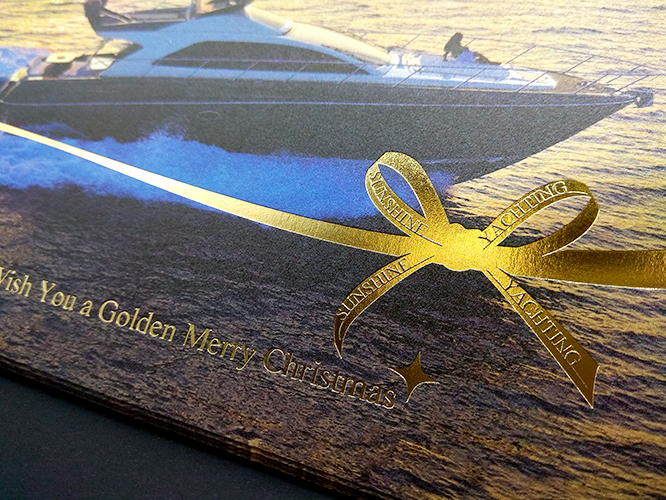 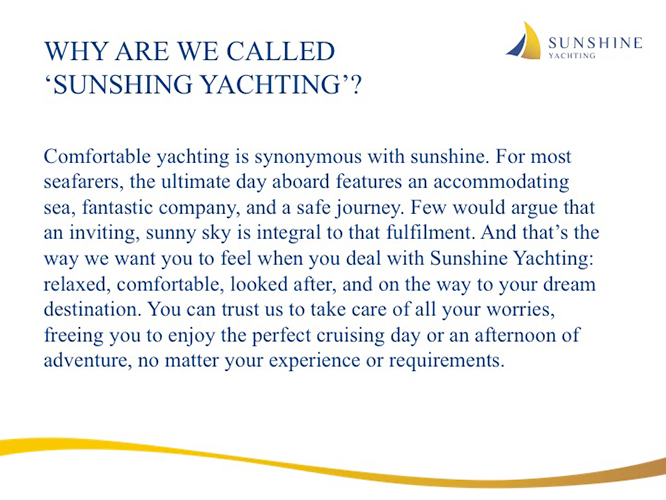 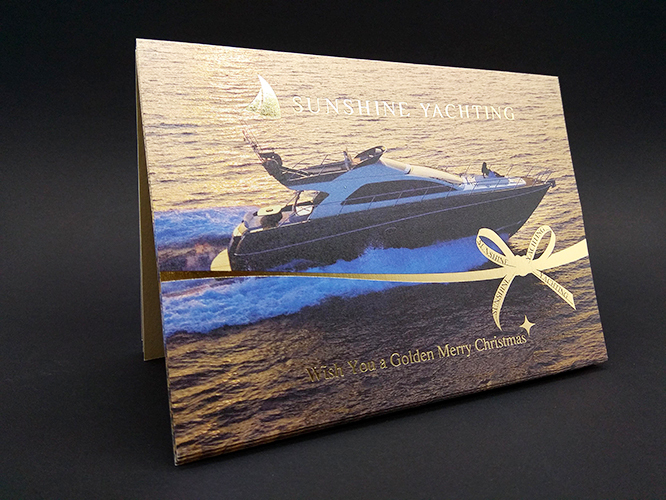 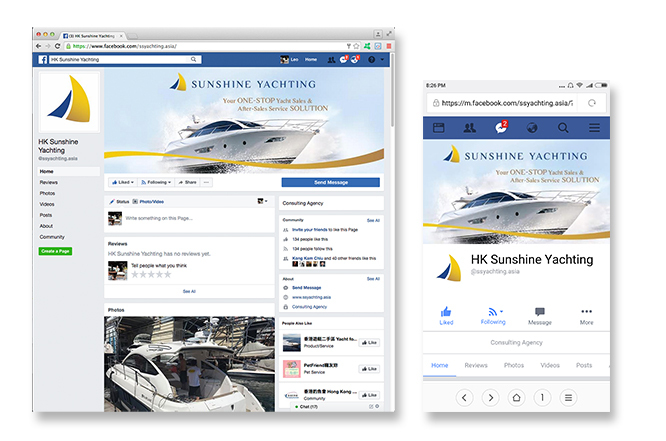 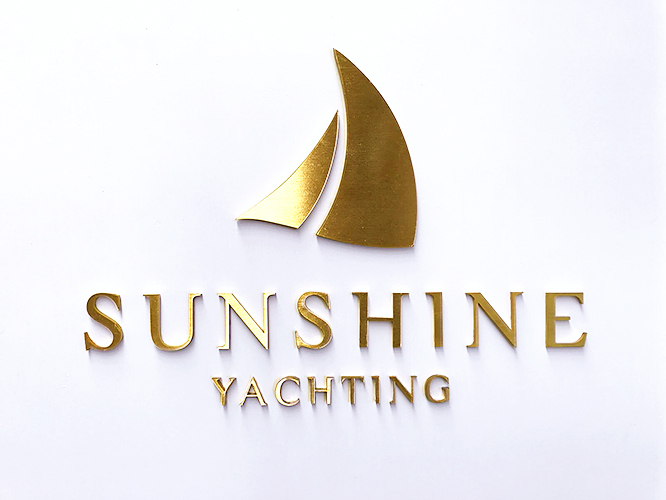 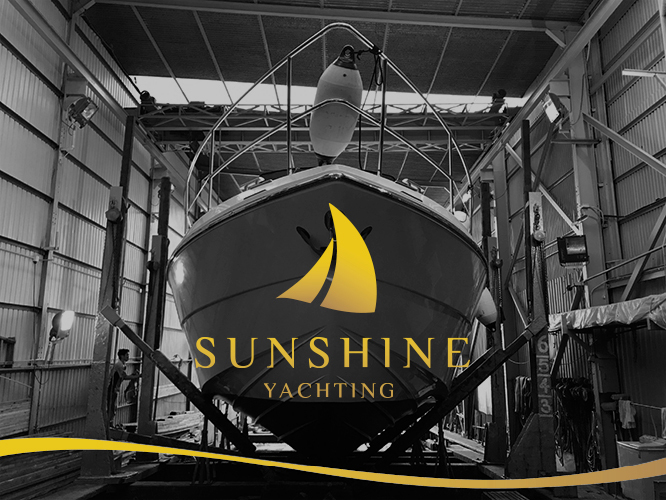 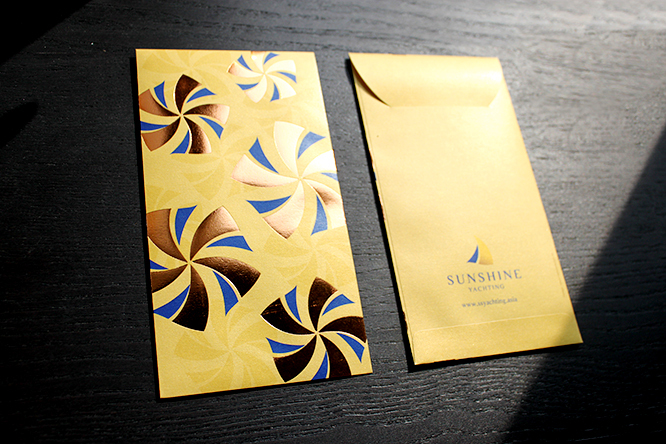 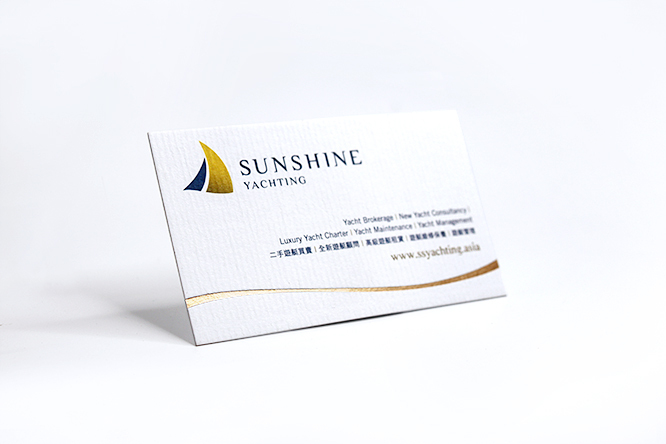 Matisse has designed the brand image of Sunshine Yachting – a brand that sails your dreams to the destination. 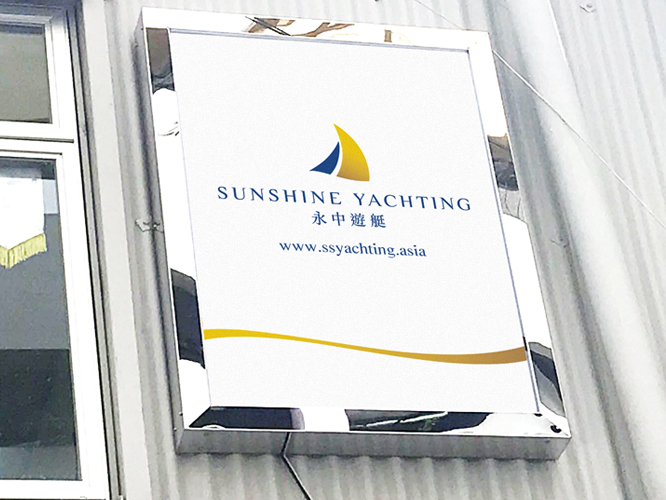 Before starting Sunshine Yachting, the founder William Chan worked in senior sales positions at some of Hong Kong’s leading yachting firms, selling brand-new custom-built luxury yachts from Italy, France, Spain and the UK, while handling pre-owned boats, rentals and maintenance. 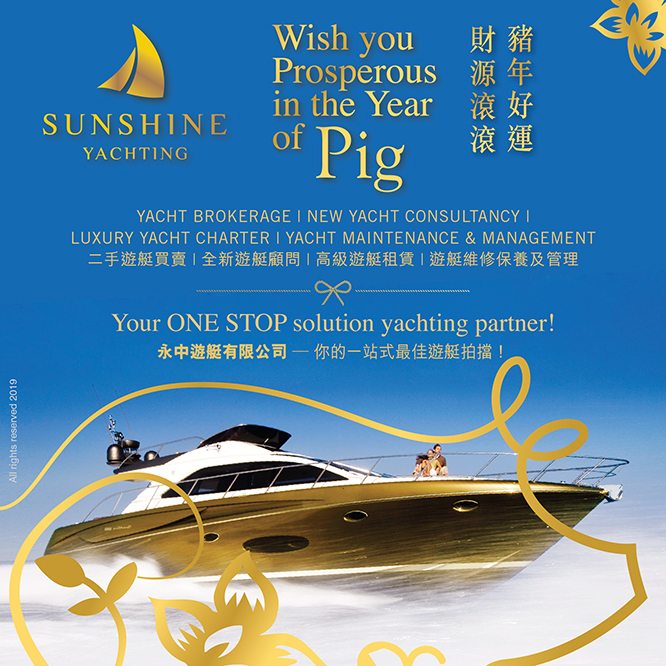 Renowned for his vast knowledge of the yachting industry, William is highly experienced in Hong Kong’s most prevalent yacht brands and he had a reputable record of selling out a luxury yacht of over 100 feet. 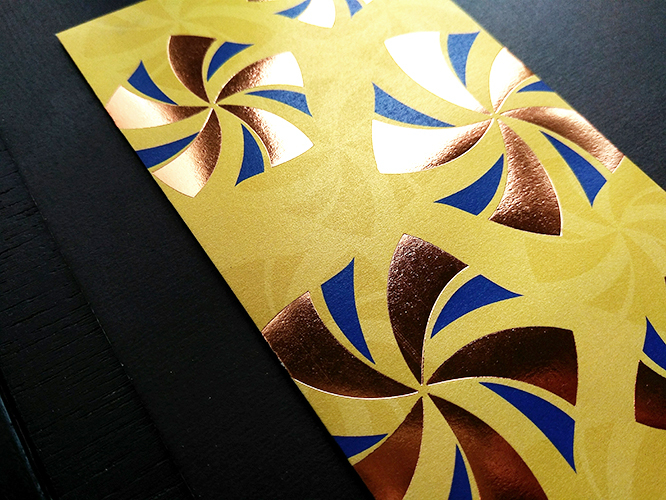 William's passion has inspired us and we are honored to be the brand's design partner. 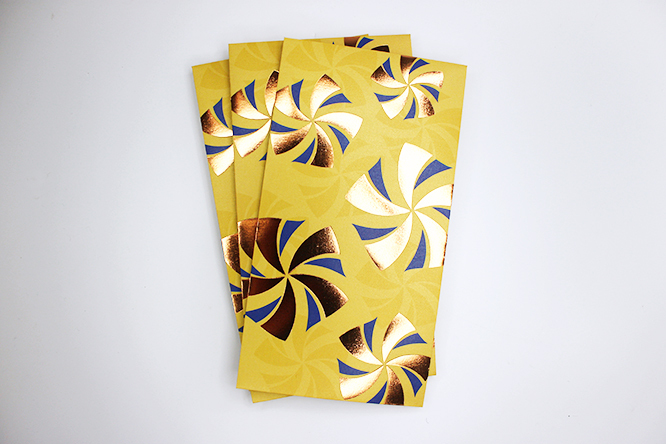 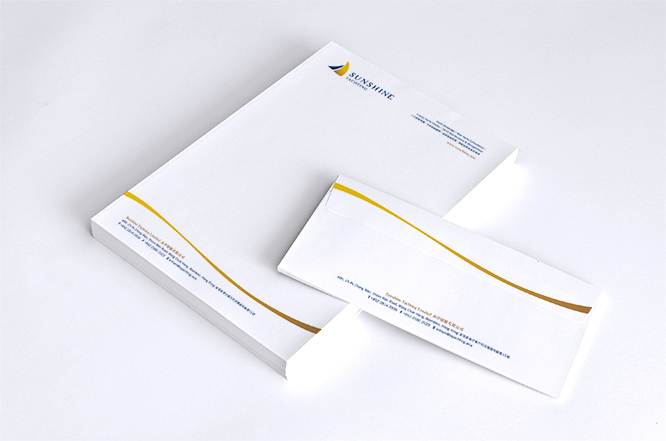 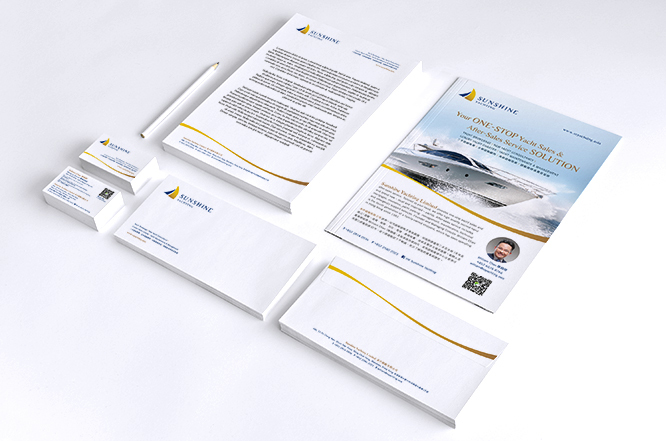 We had designed the logo, stationery set, leaflet, powerpoint, Facebook banner, signage, website art direction and etc.